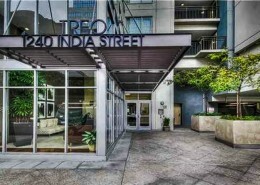 The Treo condos San Diego at 1240 India Street and 1277 Kettner Blvd is convenient located by the Santa Fe Depot in Downtown's Columbia District. 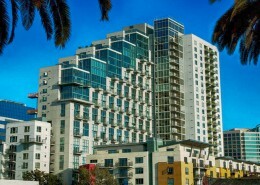 The Treo San Diego Condos was completed in 2003 By Intergulf. 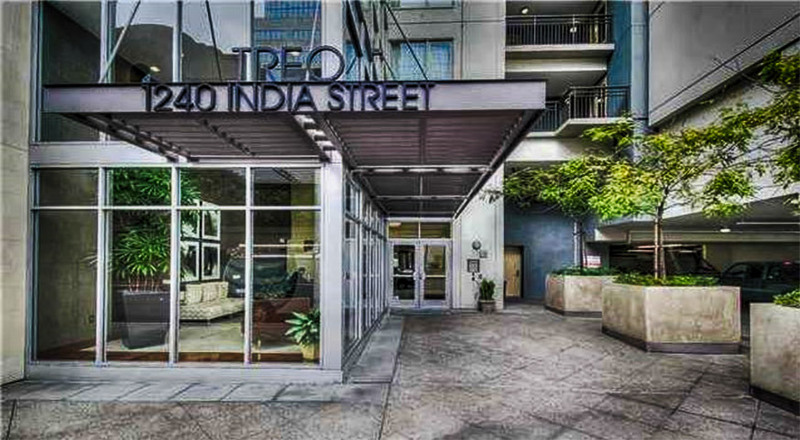 Treo is bounded by India, B and A Street and Kettner Boulevard. It consists of a 24-story high rise and a mid rise. 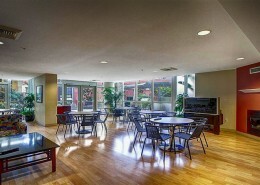 Treo is a mixed use with its ground floor offering a 2,000 square feet of retail space. 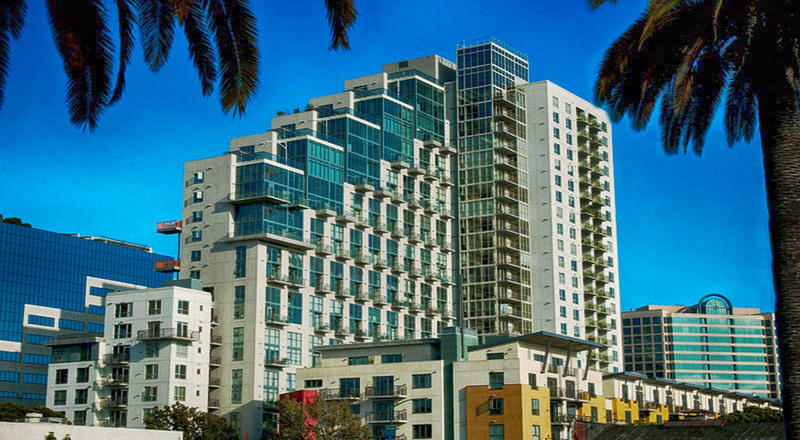 Treo high rise and mid rise buildings consist of 326 total units. 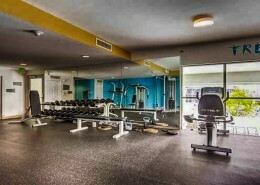 Treo offers one, two and three bedroom condominium floor plans in a wide range of plans and sizes. One bedroom plans range from 621 to 1,139 square feet, two bedroom plans range from 1,107 to 1,441 square feet and the three bedroom plans are as large as 2,123 square feet with some two level residences. Interiors at Treo feature gas fireplaces, stainless steel appliances, and some residences have floor to ceiling windows to take advantage of the bay and city views. 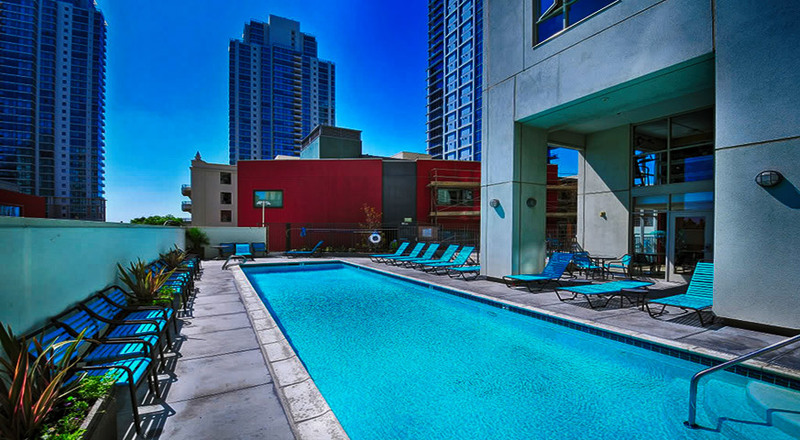 Treo San Diego condos amenities include a heated lap poo & jacuzzi, a large 3rd floor roof terrace with a wet bar and fireplace, a theater, a 2nd floor fitness center, and 3 BBQ areas. 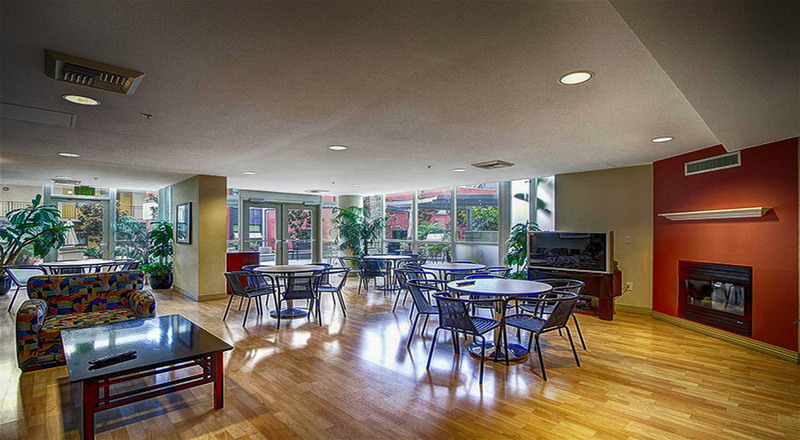 Treo residents also enjoy easy access to all that Little Italy San Diego has to offer. 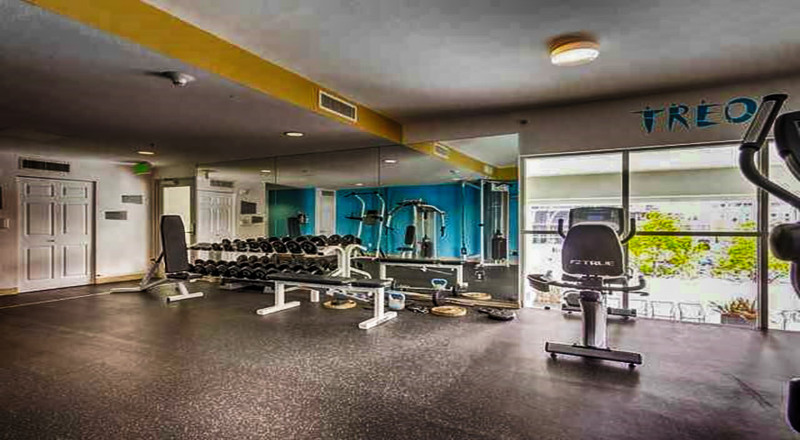 Treo offers a variety of features and amenities to all its residents. 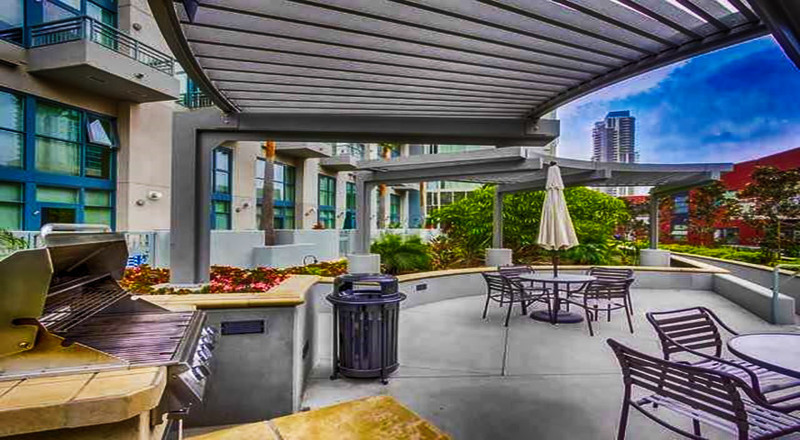 Its unique terrace style architecture and wide range floor plans make Treo a perfect fit for all seeking to live in urban lifestyle that Downtown San Diego offers. 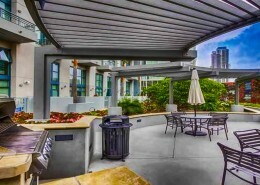 Below you can find currently available townhomes and condos for sale in Treo San Diego. There might also be additional condominiums available that are not listed in the listings database. 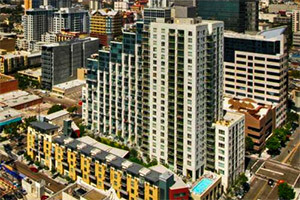 Please call us at (619) 921-0284 for more information and availability on Treo San Diego condos for sale.